Senior Andrew Rowsey (right) scored 1,000 points in a Marquette uniform. 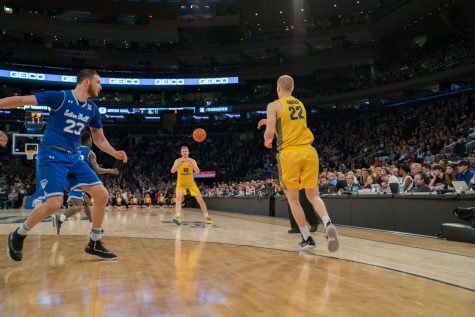 He is only the fifth player in NCAA history to score 1,000 points with two different teams. 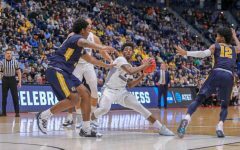 The Villanova Wildcats shot lights out in the second half, draining 15 of 29 shots from beyond the arc including 11 of 17 in the second half en route to a 94-70 dismantling of the Marquette Golden Eagles. 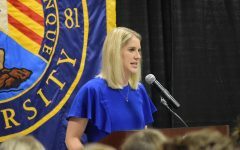 Now the Golden Eagles will have to wait until Selection Sunday this weekend to find out its postseason fate. 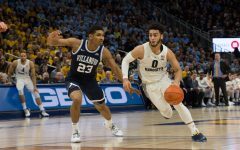 Villanova head coach Jay Wright thought that the building was a good omen for his players and it showed particularly in the second half. 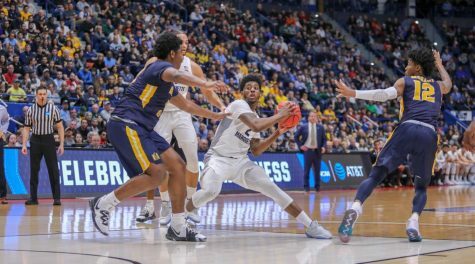 Marquette head coach Steve Wojciechowski switched to zone defense in a desperate attempt to slow down the Wildcats. It didn’t matter in the slightest. 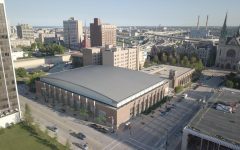 “Boy, they can really shoot,” Wojo said. 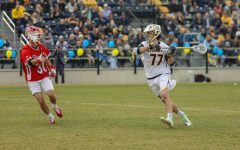 “But they started the second half, they scored five of six of the first possessions in man (to-man defense). So we wanted to try something else. 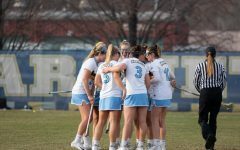 And then they went five of six in zone. 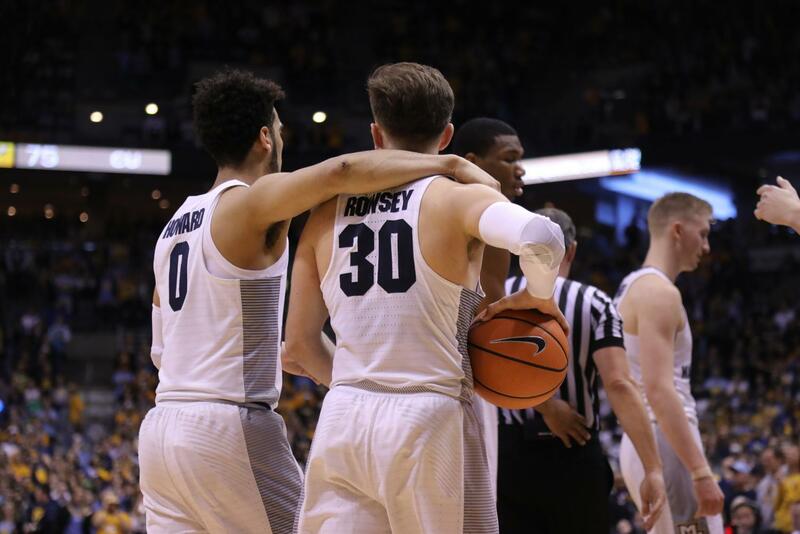 Redshirt senior Andrew Rowsey scored his 1,000th point in a Marquette uniform, becoming only 48th player in program history to achieve that feat. He also became just the fifth player in NCAA history to score 1,000 or more points with two different teams. Before the game, Marquette Wire Sports proxuer Nathan DeSutter caught up Rowsey’s mother, Melissa, on her way into Madison Square Garden. 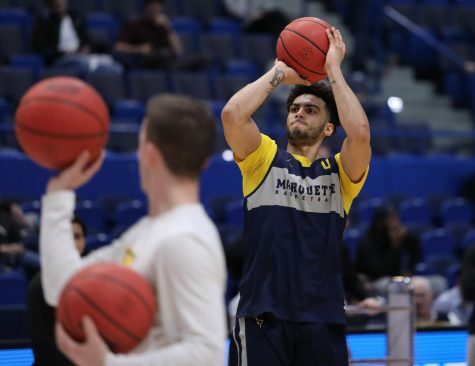 While Rowsey added much-needed scoring for Marquette, dropping 22 points, he also missed four of his final six shots as the Golden Eagles withered down the stretch. 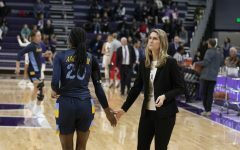 Golden Eagle fans will be on pins and needles heading into the final weekend of the college basketball season. 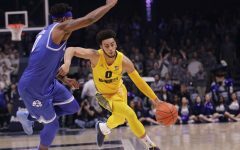 BracketMatrix, a site that aggregates March Madness predictions, had Marquette as the first team out of the tournament at the start of the day’s action. 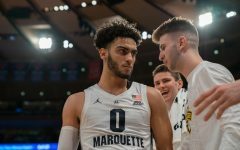 In a conversation with the Marquette Wire, ESPN bracketologist Joe Lunardi felt confident that Marquette’s 9-9 conference record would put Marquette in the tournament conversation, so long as they didn’t lose to a bottom-seeded BIG EAST team. 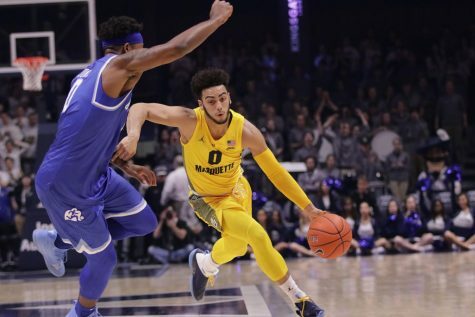 However, Lunardi does not have Marquette in the field of 68 in his latest projection. 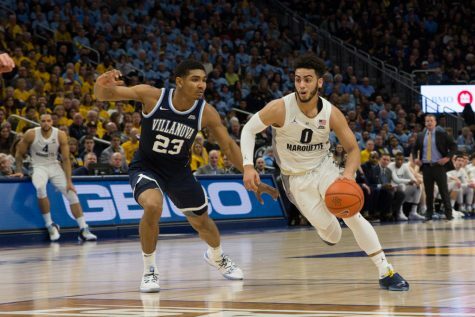 Marquette will play the waiting game to find out if they will make the NCAA Tournament. 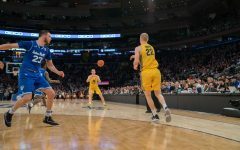 The tournament’s Selection Show is scheduled for 5:00 p.m. on CBS. 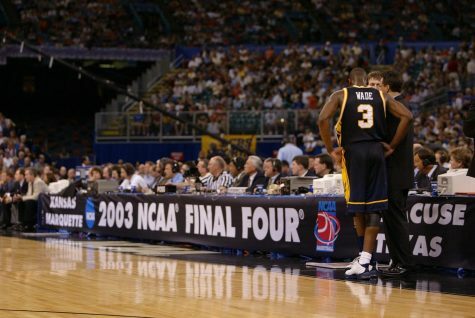 Marquette is just 2-11 in the BIG EAST Tournament quarterfinals all-time. 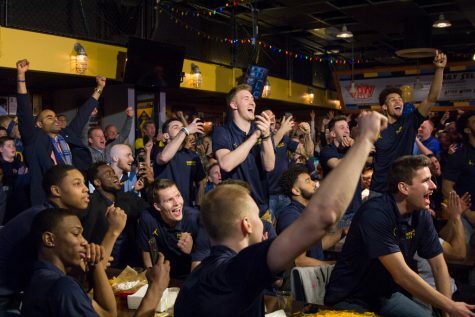 “I believe we’re an NCAA Tournament team.” -Wojo on Marquette’s NCAA Tournament fate.